How do you manage all those files you don’t need anymore? Do you dump everything in the Recycle Bin? Are you one of the few people who uses the excellent Shift + Delete shortcut? Or are your desktop and file hierarchy a mess thanks to years of poor folder management? Whichever category you fall into, the bottom line is that staying on top all your old files is entirely your responsibility. Or is it? Well, no. Not anymore. The Windows 10 Creators Update Why You Should NOT Get the Windows 10 Creators Update Yet Why You Should NOT Get the Windows 10 Creators Update Yet Just because it's here, doesn't mean you have to jump on it. The Windows 10 Creators Update could harbor trouble. 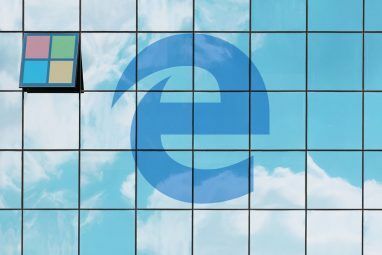 We explain why you should delay this Windows update and how to do it. Read More has brought a much-welcomed revamp to the already excellent Storage Sense feature. But what is it? What can it do for you? And how you use it? Keep reading to find out. Microsoft released Storage Sense as part of the original Windows 10 back in 2015, though it’s been part of Windows Phone since the days of the 8.1 release. 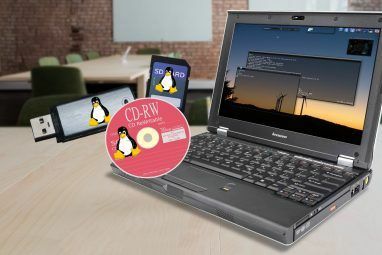 It offered you a way to manage the apps and files on your hard drive. The feature could tell you how much of your system’s memory was being occupied by each individual file type and let you specify onto which storage media you wanted to save your apps, documents, music, pictures, and videos by default. All those features are still present in the Creators Update version of Storage Sense, but the core purpose of the app has changed. Now you can use it to automatically monitor and free up storage space on your computer. It can delete old files, monitor for specific file types, and a whole lot more. I’ll discuss it in more detail shortly. Why Is the New Version of Storage Sense Needed? As I touched on in the introduction, managing old files and folders 6 Tips to Free Up Disk Space in Windows 10 6 Tips to Free Up Disk Space in Windows 10 Even a terabyte of storage space is quickly filled with media files. Here we'll show you how to easily free up gigabytes of disk space in Windows 10 by removing redundant system files. Read More can be a mammoth task. Lots of people simply aren’t disciplined enough to keep themselves organized. For example, Microsoft designed the Recycle Bin to be a safety net — it theoretically prevents you from accidentally losing an important document. But did you know it has a default maximum size? Windows will automatically delete the Bin’s contents on a “first-in-first-out” basis once you’ve reached the limit. If you abuse the purpose of the app and never empty out the junk How to Make the Recycle Bin Empty Itself Every So Often How to Make the Recycle Bin Empty Itself Every So Often Instead of manually emptying the Recycle Bin every few weeks, you can tell Windows to do it for you automatically. Read More , it could come back to haunt you. If you’re curious, you can change the default size of the Bin by right-clicking on the app’s icon, heading to Properties > General and altering the Custom size number. 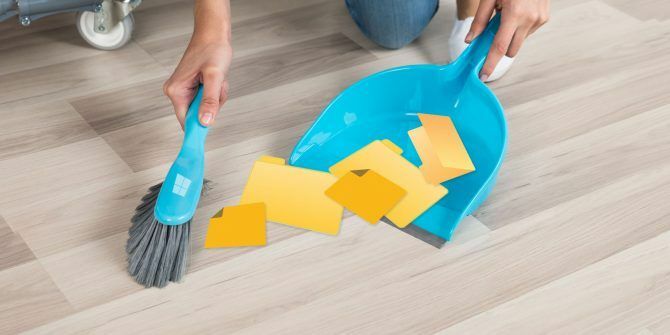 Other file cleaning tools This Free Tool Can Help You Save a Lot of Disk Space on Windows This Free Tool Can Help You Save a Lot of Disk Space on Windows If you're really hurting for space on your Windows computer, you can compact the operating system to squeeze out a couple of extra gigabytes. Here's an easy way to do so. Read More , such as Disk Cleanup (Control Panel > Administrative Tools > Disk Cleanup), are not easy to use nor automatic. In short, the new Storage Sense feature aims to fix a long-standing Windows problem that users have been complaining about for years. There are two parts to Storage Sense This New Windows 10 Setting Automatically Frees Up Disk Space as It Runs Out This New Windows 10 Setting Automatically Frees Up Disk Space as It Runs Out Tools to clean disk space in Windows 10 are common, but Microsoft is adding an automatic cleaning option in the new Creators Update. Read More : you can choose to simply enable the feature and run with the Windows default settings, or you can customize it to meet your personal requirements. If you want to merely turn on Storage Sense, head to Start > Settings > System. Now locate the menu item labeled Storage in the panel on the left-hand side on the Settings window and scroll down until you see the Storage Spaces option. You’ll see a sliding toggle. Set it to the On position. If you make no further changes and quit the app, the Windows 10 Creators Update will automatically delete any junk files from your PC. That includes data files left over from long-since-uninstalled apps, some temporary files, and any items in the Recycle Bin that are more than 30 days old. If you leave the feature turned on for a few months, you’ll even be able to see a month-by-month history of your storage savings. If you want to make Storage Sense work in a different way from the pre-prescribed defaults, there are some options you can change. Once again, you need to head to Start > Settings > System > Storage > Storage Sense. This time, click the link titled Change how we free up space. The new window allows you to choose whether you only delete old Recycle Bin files, only delete temporary files that your existing apps aren’t using, or delete both. Slide the toggles accordingly to make your choices. A little further down the page, there’s also a third option called Free up space now. If you click on the Clean now button, Storage Sense will perform the clean-up actions immediately. As you can see from the image above, my system instantly found 83.9 MB of new space. It might not sound like much, but I religiously keep my Recycle Bin empty and stay on top of old files — even in the hidden AppData folder. If you’re not as particular as me, the savings could be enormous. I mentioned earlier that some Storage Sense used to be about managing your storage locations and getting a snapshot of your various drives’ file breakdown. Even though Microsoft has revamped the Storage Sense feature, you can still do those things, but you’ll now find them in a slightly different place. Navigate to Start > Settings > System > Storage and scroll down to More storage settings. There are two options: Change where new content is saved and Manage Storage Spaces. 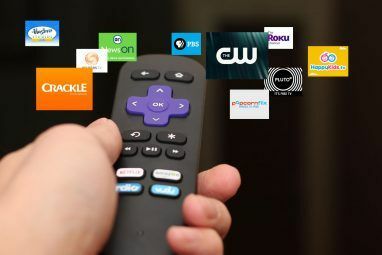 Clicking on Change where new content is saved will give you a list of six filetypes: Apps, Documents, Music, Photos and Videos, Films and TV Programmes, and Offline Maps. Under each filetype, you can choose your preferred location from the drop-down box. The app will list all your drives, including any removable disks. Choosing Manage Storage Spaces allows you to create pools of drives. Any content you save will be added to both drives, thus protecting you against drive failure and accidental deletion. Click Create a new pool and storage space to create your pools. Lastly, you can still see a breakdown of your current drives by content type. Go to Start > Settings > System > Storage and click on the drive you want to view. The app will show you a full list of your content along with the amount of space needed by each type. There’s no doubt that the new Storage Sense feature will be a boost to anyone who feels like they’re drowning under the weight of old content. That said, the release of the Windows 10 Creators Update only marks the first iteration of the app. Presumably, Microsoft will add a lot more functionality in future updates. What would you like to see Microsoft include? Which extra features would make Storage Sense an even more valuable tool? Explore more about: Space, Storage, Storage Sense, Windows 10. But it doesn't help you, if you have to monitor some special directorys and overwrite files in them, whenever the browser is closed. None of the tools you ever emntiones her can do this: Automatically deleting and overwriting files and directorys, whenever a special parameter is reached.